Please see the other threads for the 620. 1. Speak to someone who has an existing o2 contract to fill in the unlock form for you. 2. Take out a Simplicity contract, fill in the form to get the unlock code then cancel the simplicity contract. 3. There is a 3rd party company supplying unlock codes for around £15 but I dont know how many people have used them. If I didn't already have the Lumia 800 I'd have bought this. Only downsides to the Windows phones area/ The crappy selection of apps, and no "free app" areas like Amazon, and overpriced (like Playbook, but without the ability to sideload Playbook has) and the poor battery life. They've put a n sd slot in, so thats solved one of the three Windows phone problems. good camera, works well under low light. Only downsides to the Windows phones area/ The crappy selection of apps, … Only downsides to the Windows phones area/ The crappy selection of apps, and no "free app" areas like Amazon, and overpriced (like Playbook, but without the ability to sideload Playbook has) and the poor battery life. They've put a n sd slot in, so thats solved one of the three Windows phone problems. Windows Phone users dont need to install 1000 fart apps App availability is not as huge issue as it was back in lumia800's glory. "Free" apps ? you mean loading paid apps without paying for them ? Windows Phone users dont need to install 1000 fart apps App availability … Windows Phone users dont need to install 1000 fart apps App availability is not as huge issue as it was back in lumia800's glory.Its not overpriced, find me a better android phone for £130"Free" apps ? you mean loading paid apps without paying for them ? Sorry but this "fart app" arguement is a smokescreen. I have used Android, iOS and Windows and there is a lack of the main apps that most people I know use. Back when I tried it this included Amazon and Tapatalk, and ebay/whatsapp were of a poor standard and boardexpress was much worse than tapatalk. If you're not to interested in apps, then windows phone is for you. Otherwise wait for a bit and see if it picks up in this regard. It's not just the dearth of apps, it's the quality of those available. The versions Spotify, Whatsapp and Zookeeper for WP8 are atrocious - Crippled versions of Android/IOS apps that are buggy, laggy and lacking features. I bought the Lumia 620 as part of the sale a month or so ago. I love the 620, and I really like WP8, but don't buy it it if you're a big apps consumer, because the choice and quality is just not there at the moment. Operator unlock only. So you'd have to persuade O2 to unlock it for you. They won't until 12 months after purchase date. This phone is locked to O2, there isn't an unlock solution for it. Regardless of operating system, this has to be one of the best smartphones for the money. Seriously good price. The battery life isn't great. I think I'll get one, even though I have a Nexus 4. Sorry but this "fart app" arguement is a smokescreen.I have used Android, … Sorry but this "fart app" arguement is a smokescreen.I have used Android, iOS and Windows and there is a lack of the main apps that most people I know use. Back when I tried it this included Amazon and Tapatalk, and ebay/whatsapp were of a poor standard and boardexpress was much worse than tapatalk.If you're not to interested in apps, then windows phone is for you. Otherwise wait for a bit and see if it picks up in this regard. The camera is the main upgrade and obviously the screen. Will be over £200 easily I would think. 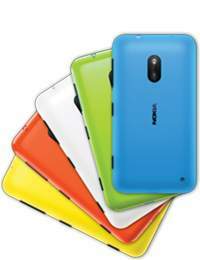 Nokia have the best camera technology in smartphones according to reviews. The Lumia 720 judging from pre-release testing seems like it will have a very decent camera. I just sold my Note II planning to go back to iPhone as I just didn't get on with Android despite the Note being a spectacular device. Instead I saw and bought the 620 and I couldn't be happier. It is very short of apps, no doubt about it but I don't find myself missing them on a day to day basis. I love this phone and I love Windows Phone 8. I was really surprised too! I just sold my Note II planning to go back to iPhone as I just didn't get … I just sold my Note II planning to go back to iPhone as I just didn't get on with Android despite the Note being a spectacular device. Instead I saw and bought the 620 and I couldn't be happier. It is very short of apps, no doubt about it but I don't find myself missing them on a day to day basis. 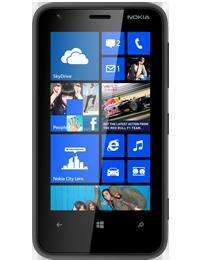 I love this phone and I love Windows Phone 8. I was really surprised too! How are you getting on with the lack of a notification system? This is a massive lack of functionality over IOS and Android. Don't get me wrong I really do like WP8 but that is a major problem. I used to own a Samsung Omnia 7, great phone, sold it though. I use Android currently. Everything has its pros and cons. I still want to get this phone as it's so cheap, and it's my job to keep abreast of technology. I got my Omnia 7 for £60 from an idiot 18 months+ ago. The camera is the main upgrade and obviously the screen. Will be over … The camera is the main upgrade and obviously the screen. Will be over £200 easily I would think.Nokia have the best camera technology in smartphones according to reviews. The Lumia 720 judging from pre-release testing seems like it will have a very decent camera. Not forgetting the 2000Mah battery and virtually identical weight, too.. The apps are more limited than ios or android, however for me at least there are plenty - though I fully accept that is a personal opinion. the notes app, calander app, local services app,office app satnav app and music app are all excellent (industry leading in the case of the last 2 imo) the camera for a phone of this price is superb. Gaming on a phone for me is a 10 min here and there thing so again, for me is absolutely fine. as for the battery comment...... a random comment on the battery size is nonsensical imo, it is only relevant when tied to how long it lasts. In my experience - based on recent fairly heavy use of the phone - it is approximately comparable to the HTC Desire i used. better than my iphone 3G, maybe not quite as good as the iphone 4 or HTC desire S, but certianly not much in it. for £130 (I was lucky £120 for me) this phone is a steal imo. It is not Windows 9, it's a major update to Windows 8 available around August this year. I'm an Android user. However my position is neutral over mobile operating systems. There are advantages and disadvantages to both. I only really get in to a debate when someone says something completely ridiculous, which is quite common on here. I hope to purchase this phone but for testing purposes only, it won't be a daily use phone. Microsoft are playing catch up, they ran out of time to make a consistent user interface for Windows 8, a difficult job considering they are trying to offer two completely different interfaces for different purposes. They ran out time to include a notification system in Windows Phone 8 and when it is offered, existing apps will have to be modified to use it. The Surface line of tablets, just aren't selling and it's probably one of the hardest mobile devices if not the hardest to repair, more so than the notorious recent Retina Macbooks. Microsoft also didn't understand the impact mobile devices would have, amazing really considering they have so much talent working for them. There is no perfect mobile operating system, there never will be. For those fanboys and whiners, be glad there's a choice of systems, there should be no need for these IOS is better than Android or WP8 and vice versa debates, they are for stupid people with nothing better to do. Manufacturers claims aren't worth a jot in reality - This doesn't have the staying power of the post-JB S3. Having said that, I got two full days from the 620 on one charge whilst on an extended break in Krakow recently. That included plenty of maps use, as well as 'CityLens' use, camera/video and Spotify streaming through the Wi-Fi in the apratment. How are you getting on with the lack of a notification system? This is a … How are you getting on with the lack of a notification system? This is a massive lack of functionality over IOS and Android. Don't get me wrong I really do like WP8 but that is a major problem. I used to own a Samsung Omnia 7, great phone, sold it though. I use Android currently. Everything has its pros and cons. I still want to get this phone as it's so cheap, and it's my job to keep abreast of technology. I got my Omnia 7 for £60 from an idiot 18 months+ ago. To be honest I disliked the Android notifications as felt them to be a bit spammy and there was no central configuration for them, every app had it's own settings which was tedious. iPhone was great but improved somewhat with jailbreak tweaks. I've not noticed that there is no pull down notifications, the tiles sort of take over that task. Like it or not, the email tile says how many new mails since you last opened it, likewise texts & call tiles. It's different and no mistake but I like it. I'm trying to find what the best solution is for RSS at them moment although dealt a massive blow by Google announcing the end of Google Reader. To be honest I disliked the Android notifications as felt them to be a … To be honest I disliked the Android notifications as felt them to be a bit spammy and there was no central configuration for them, every app had it's own settings which was tedious. iPhone was great but improved somewhat with jailbreak tweaks.I've not noticed that there is no pull down notifications, the tiles sort of take over that task. Like it or not, the email tile says how many new mails since you last opened it, likewise texts & call tiles. It's different and no mistake but I like it.I'm trying to find what the best solution is for RSS at them moment although dealt a massive blow by Google announcing the end of Google Reader. That's the beauty of having competing systems, everyone has a chance to find out what they like. I'm sure there's other ways of managing notifications in Android, and if I looked further I could probably find an app that manages global notifications. I even go further with notifications and use pushover with IFTT and Zapier services for example. I really think there's a lot of power in notifications, especially in collusion with those systems I just mentioned, I also agree other people would find that overkill. There's elements of all mobile operating systems I like and dislike, for me Android does the job, but that doesn't mean it's best system for other users obviously, they will prefer WP8 or IOS and that's their choice, they aren't wrong. What I do think is wrong is stupid fanboy and 'mine is better than yours' debates, which impose themselves on most threads like this. The best comment wp users cab come up with is"1001 fart apps" blah blah blah.As someone who uses android,ios and wp i personally think people are talking rubbish.The app quality of wp is a massive letdown and yes theres more pointless fart apps on wp then.any othe os.For me its to limited in what the operating system can do and people always banging on about android being laggy,well what do you expect if you by cheap you get cheap.I prefer the true multi tasking of android as wp dosent provide the same level of multi tasking performance.As for ios i love that as it has better customisation then wp.So in all yeah its a decent phone and deal and yes ive used one and it was fine.Just dont like the look of wp and how boring it looks.Me,ill be saving my money for the s4 at tonights launch,just hope it lives upto the last one. Ruscom mobile on eBay now also selling this handset for £129.99 but it includes £10 of call credit as well!! The best comment wp users cab come up with is"1001 fart apps" blah blah … The best comment wp users cab come up with is"1001 fart apps" blah blah blah.As someone who uses android,ios and wp i personally think people are talking rubbish.The app quality of wp is a massive letdown and yes theres more pointless fart apps on wp then.any othe os.For me its to limited in what the operating system can do and people always banging on about android being laggy,well what do you expect if you by cheap you get cheap.I prefer the true multi tasking of android as wp dosent provide the same level of multi tasking performance.As for ios i love that as it has better customisation then wp.So in all yeah its a decent phone and deal and yes ive used one and it was fine.Just dont like the look of wp and how boring it looks.Me,ill be saving my money for the s4 at tonights launch,just hope it lives upto the last one. Lost the space bar? Almost unreadable. Only some kind of weird nerd would judge phones by the storage capacity of the battery - it's actual battery life that counts... If you're comparing 2 similar android phones then it makes sense as you'd get more battery life, but comparing a WP8 to Android makes little sense - as the stats show, despite the smaller battery, the battery life is longer. It would be great if the battery was bigger and so the battery life was extra-long, but as it is it is perfectly adequate and beats many other phones. wow muckspreader posting on a windows phone thread, unseen, i see you have slightly calmed down after your numerous bans and im so suprised to see that you now state you use a 820 after slagging off lumias since the day they evolved. If I didn't already have the Lumia 800 I'd have bought this. Only … If I didn't already have the Lumia 800 I'd have bought this. Only downsides to the Windows phones area/ The crappy selection of apps, and no "free app" areas like Amazon, and overpriced (like Playbook, but without the ability to sideload Playbook has) and the poor battery life. They've put a n sd slot in, so thats solved one of the three Windows phone problems. @hipposrule i can read it ok.Maybe your just too dumb to read.Always one idiot that cant contribute to a post. @mightyforest why do you keep slating android then.If you dont like android dont comment.Also please feel free too add me to your ignore list.Personally i like winding chumps like you up.I get a massive kick out of it so in future dont bite and dont keep trolling on android posts.Just trying to inform peole on the downsides of "winflop" sorry i meant windows.As for reboots thats strange as my 820 has rebooted several times since i was GIVEN it so stop trolling. and poisoning peoples minds on other os.Now add me to your ever growning ignore list and ill add you to mine. so stop trolling. and poisoning peoples minds on other os.